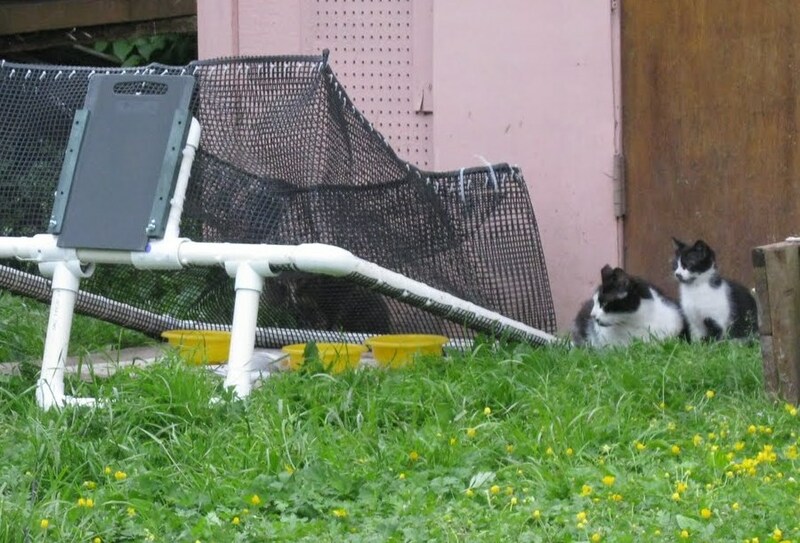 While I’ve recently covered the activities of feral cat trappers and feeders here in the Seattle area, I received word about a group working on feeding Seattle’s California feline cousins. Below is an interview with Director Pat Smyklo about Hungry Kitty, a non-profit group feeding and fixing ferals in the heart of Oakland, CA. Sniffing Out Home (SOH): When was Hungry Kitty founded? Smyklo: I have been taking cats in to be fixed since 1980 when I moved into my flatland Fruitvale home. As important as it is to feed cats, it is important to fix them too. So, fixing them has always been a top priority. My neighborhood was overrun with sickly cats and kittens when I first moved in, and I am glad to say that there have been no new litters of kittens born in my neighborhood for over twenty-five years. I got the nonprofit status a few years ago and then met up with another cat person that I had known in the past. She was feeding some colonies of cats, and I began helping her. 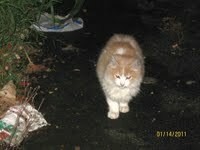 Soon, we were feeding about one hundred and fifty cats a night. The needs of the nonprofit just exploded. So, I bought the food out of my own income and posted for donations too. Getting cat food donations is just very difficult. Some stores break dog food bags very often but it is not as common to break cat food bags. So, it is easier to get dog food than cat food. When we find new cats they often are very thin, some on the brink of starvation. When you drive late at night in Oakland or any urban area, you just keep running across cats and kittens. A few days ago, I saw a four-month-old kitten scrounging for food in a doorway of a store. I caught him, and it turned out he was more tame than feral — and so very grateful to be eating. The next day, he just got up and ate and then went back to sleep, a contented kitten. He was very thin but is recovering nicely. SOH: Do you work with other groups? Smyklo: I have mainly worked with Fix Our Ferals for years and also know many of the cat rescue groups in Oakland. Often there is a good relationship between the groups. We got some support recently for our spay and neuter efforts through two feral cat groups and we hope that support will continue for at least a few months more. We also go to Fix Our Ferals’ clinic every other month. We take in 4 to 6 cats every week to be spayed or neutered. We don’t do adoptions though we do have a good relationship with the Oakland Animal Shelter, recently praised for being one of the most improved shelters in the country. 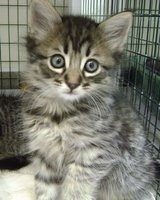 They take in cats or kittens from us and find them in homes. If some cats or kittens don’t thrive in the shelter environment then we come back to get them. SOH: How many volunteers work with Hungry Kitty? We have four board members and three trappers. We do get a lot done for such a small group. We do work with other groups on spay and neuter projects and come to the aid of each other. SOH: What kind of donations does Hungry Kitty need more of? Smyklo:The big need is to buy cat food. We have had a few larger donations but now are in great need of food. We go through four 16 lb bags of cat food a night and some canned cat food. The cats wait for us by the curb, and they know very quickly the sound of the engine of my car. One colony of cats starts running down the whole length of the street, crisscrossing in front of me. I feed late night/early morning to avoid some of the traffic. Though we know that cat food that contains corn isn’t the best cat food, we do use Friskies, Purina, 9 lives whichever are on sale and we use coupons that people send us. We sometimes go to Costco for their Maintenance Adult cat food where a 25 pound bag of cat food sells for $17. That is a better quality cat food. We look for bargains as we spend one hundred percent of every donation on buying cat food. There is no overhead. And of course, there is no salary, as this is a grassroots effort. We have an account at the vet’s when one of the cats that we bring in to be altered has medical problems. We have very few resources to pay for things like that but somehow we have managed so far. Occasionally, a feral cat group will help us pay for a particularly sick cat. One cat that couldn’t be saved was ten years old and pregnant again. The cat was jaundiced, had a mouth full of rotted teeth and had a terrible blood workup. That cat’s name was Queeny and we had so looked forward to letting her senior years be free of having kittens. That was a very sad day for us to have her euthanized but the vet said that no amount of money spent on her could save her as she was old and very sick. We could use some donations to pay for the occasional very ill cat. SOH: How can people bring you food for the cats? Smyklo: We can go to people’s houses or meet them at a nearby pet store if they have donations for us. Or sometimes people prefer to leave the food on a protected porch and we just go by to pick up the cat food. SOH: You mentioned you just spayed your hundredth cat. Smyklo: Yes, we did just take in our hundredth cat to be spayed. We feed cats from Lake Merritt area, Chinatown, from fifth ave. to 105th Ave, that is a lot of territory to cover. Which came first, pet stores or pet insurance? This wonderful letter/blog was recently brought to my attention. Kathy Powelson, of the Paws for Hope Foundation, writes here about the trend in animal welfare in North America. Here is some background on this post linked below. Please check it out. On June 29th, Kim Pemberton [(Vancouver Sun columnist)] wrote, as part of her series, a story on the pros and cons of pet insurance. In response to the article, I wrote the following [blog]. (Alameda, CA-July, 2011). For the first time in animal sheltering history, reliable data from a large sampling of shelters and communities across the United States has been compiled into a single, searchable database. The Maddie’s Fund Database provides two years of intake, adoption and euthanasia statistics from 474 shelters and 56 communities using Asilomar Accords reporting methods and formulas. The database allows lifesaving to be measured within a community and to be compared to others. Search categories include geographic region, median income, size of human population, total intake, total adoptions, total euthanasia, live release rate, and deaths per 1000. Information for the database was submitted by Maddie’s community collaborative project participants, special giving grantees and Maddie’s® Community Shelter Data Grant recipients who were given $10,000 to $40,000 to provide statistics for two previous years and three years going forward. All data has been carefully reviewed by Maddie’s Fund staff. 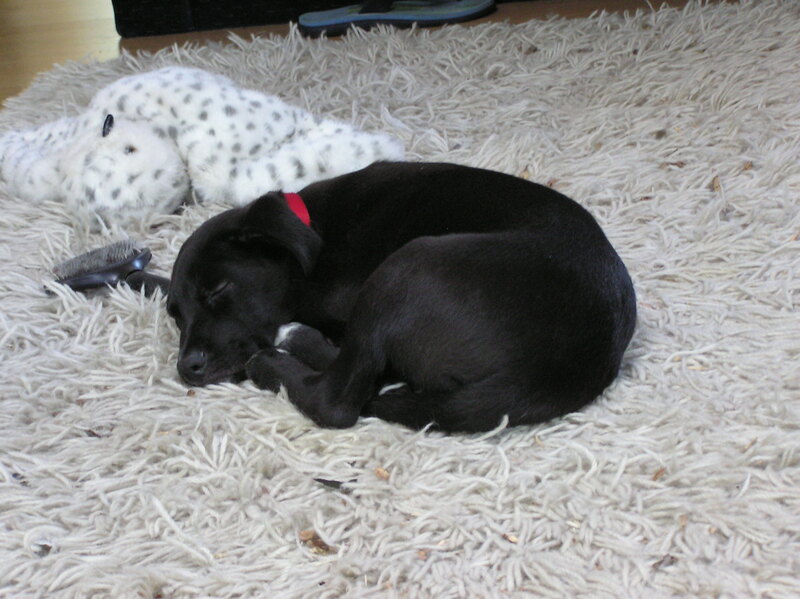 Maddie’s Fund®, The Pet Rescue Foundation, (www.maddiesfund.org) is a family foundation which is funded by the founder of Workday and PeopleSoft, Dave Duffield and his wife, Cheryl. Maddie’s Fund is helping to create a no-kill nation where all healthy and treatable shelter dogs and cats are guaranteed a loving home. Maddie’s Fund is named after the family’s beloved Miniature Schnauzer who passed away in 1997.